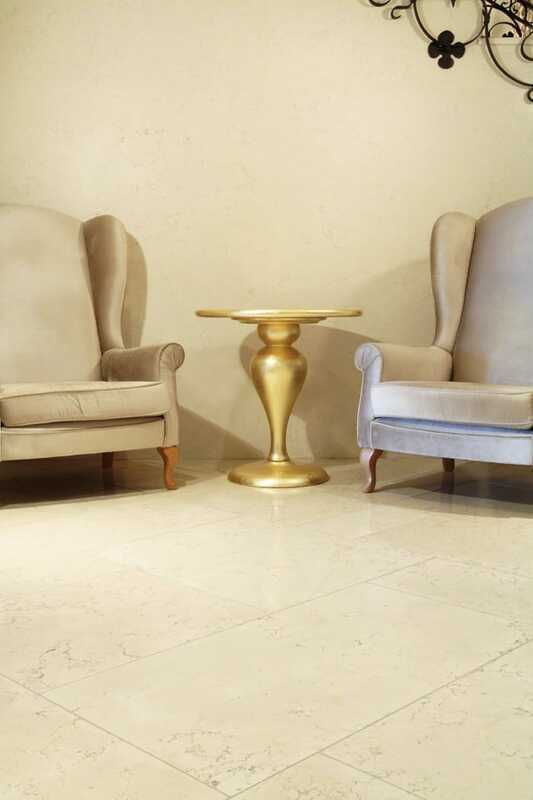 In addition to the white marbles, another natural stone of great importance in the world of interior design is the white limestone. 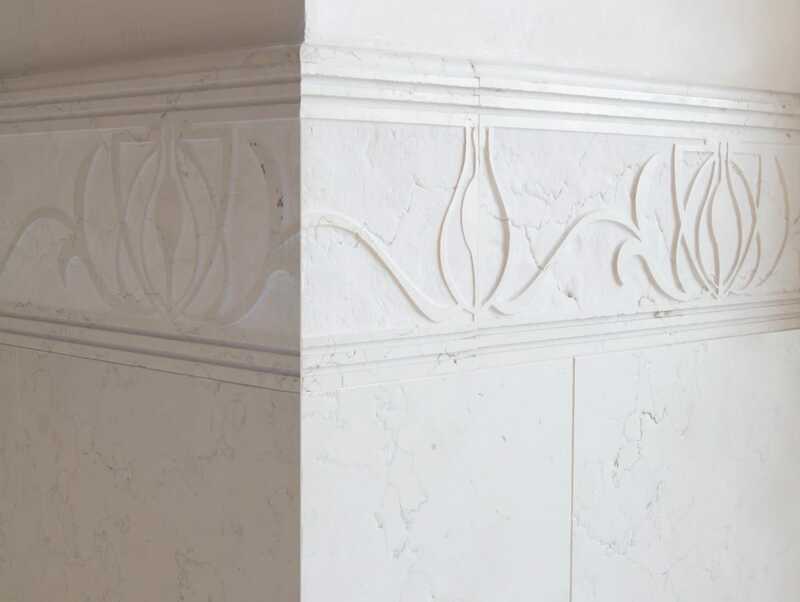 As we have seen in the posts White marble in luxury interiors and White marble surfaces, white marbles are materials that create diaphanous and timeless spaces ideal for applying any decorative concept. Nevertheless, although there is a great variety of them, there are other types of white stones, not classified as marbles, that are very appreciated by the designers. As we said at the beginning, this is the case of limestone, sedimentary rocks primarily formed by calcium carbonate. The variety is enormous, but there are many typologies in almost whitish light colors and smooth tonalities. They present less pronounced veins than marbles, which is aesthetically attractive in some styles, especially those with a contemporary look. In recent years limestones of light and uniform tones have been a real market trend as they bring warmth and comfort to any space. This is a detailed image of Perlino White plate in DOMUS finish. 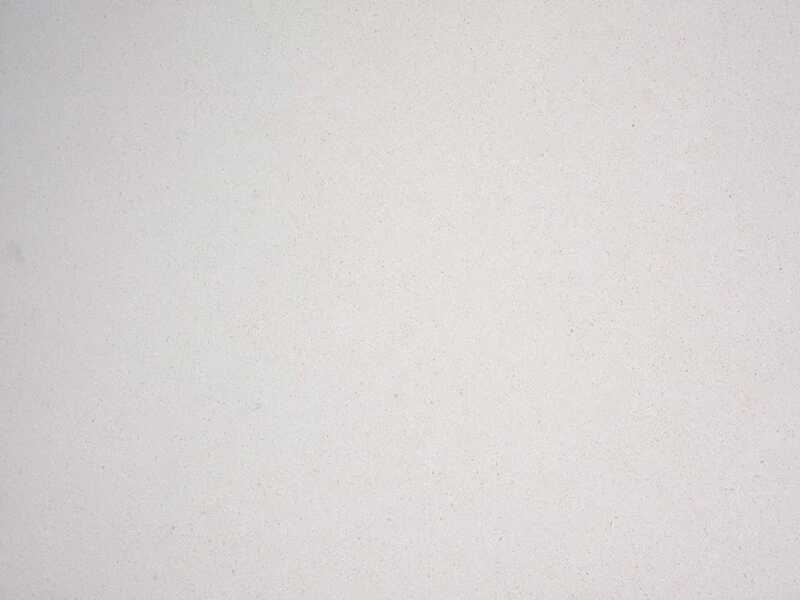 What we see is a fossiliferous limestone in a beautiful creamy white color, light, compact and fine-grained. The primary mineral is calcite. 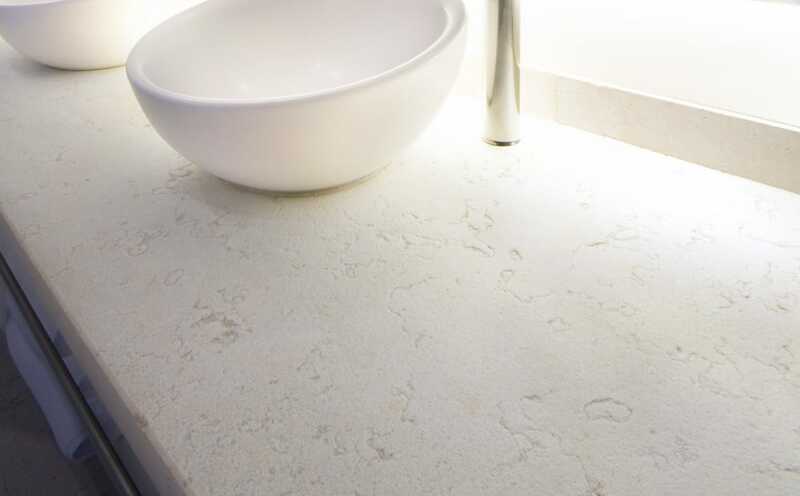 The honed finish is one of the possible finishes for the Perlino White. It admits from satin finishes like the DOMUS to those more rugged, as in the image above, called Antico. In the latter, its surface is enhanced acquiring a beautiful natural texture. In the image, we see a marble worktop in a COTTON finish. The veins furrow the surface of the stone generating perceptible reliefs for the sight and the touch. Although we classify it in the categories of whites, Blanco Perlino presents a very light tone between grey and off-white. Therefore, we have a different white natural stone that at the same time does not renounce the luminosity. For this reason, it is a white limestone that should be taken into account when looking for differentiation. 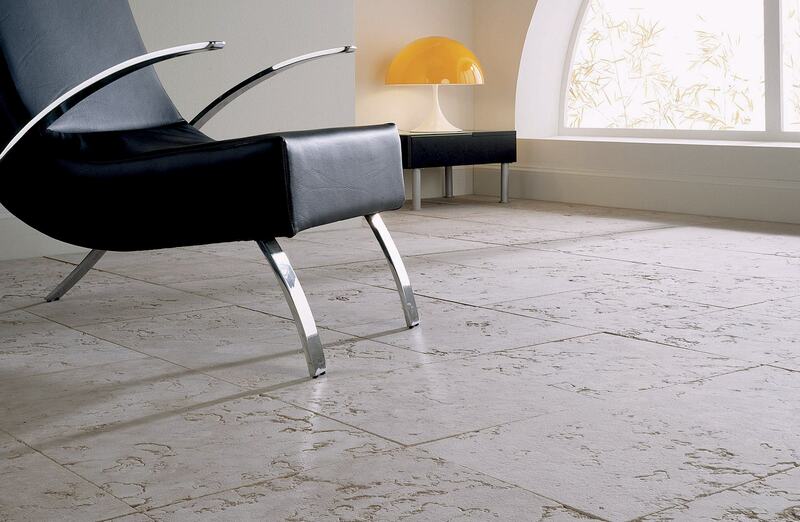 Caliza Luna is a white limestone that presents a large number of shelly vestiges. Its base has a color that straddles white and grey, and a multitude of fossils are beautifully splashed as if it was a pointillist painting. 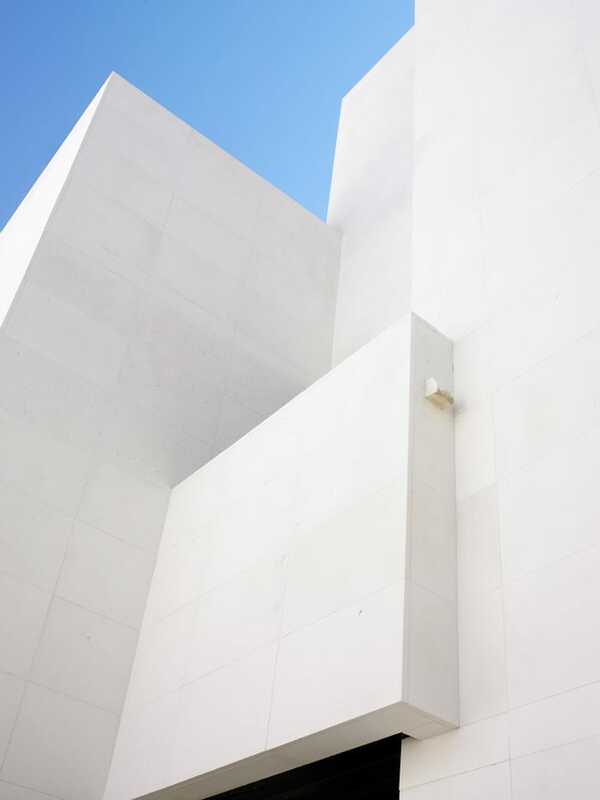 This distinguished white limestone is especially applied to façades. 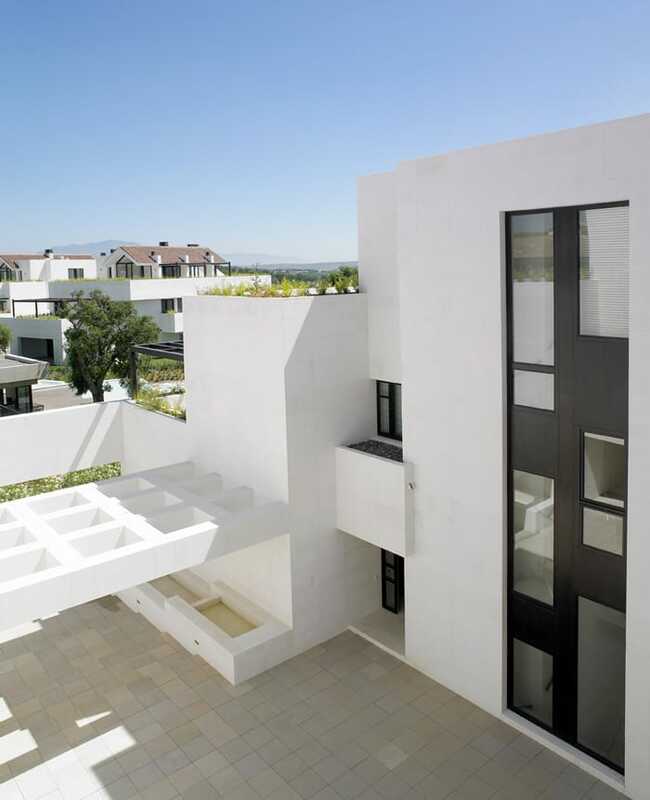 Above we see a Caliza Luna white limestone that covers the entire facade of a luxury villa with pure lines. 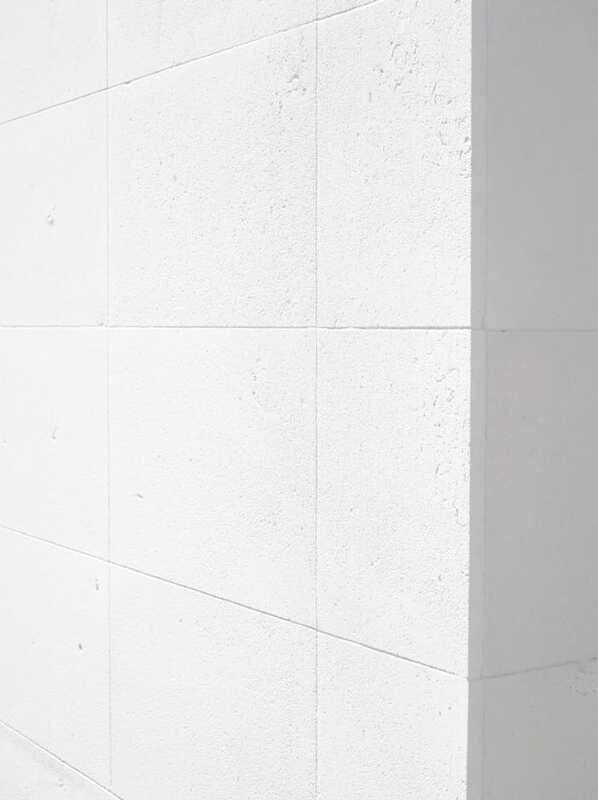 The delicate white color of the stone gives strength and light to a modular structure that seeks chromatic uniformity. In flooring, this type of cladding brings extraordinary beauty and luminosity to the environment. However, for this type of location, the stone will need specific care.